MeruCabs Taxi Booking coupons and offers upto 50% off and use Mobikwik Wallet and Get 15% cashback. 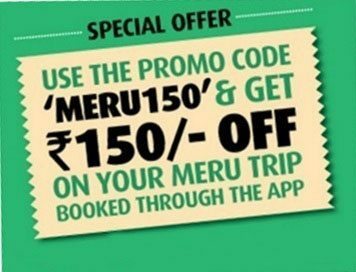 How to get MeruCabs Taxi Booking upto 50% off coupons + 15% cashback? Location : Chennai & Kolkata City only.